Congratulations to our very own Dr. David Muñoz for his recent recognition by The Victoria Foundation. 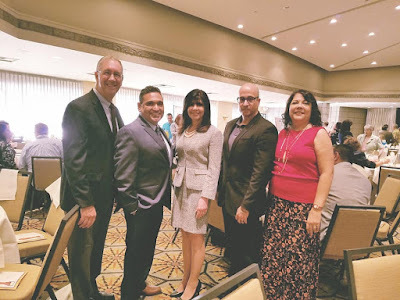 Dr. Muñoz was honored with the Albert Ríos, Outstanding Literary/Arts award on Wednesday, September 6 during an awards ceremony at the Arizona Biltmore. The award, named after the renowned Arizona poet and long-time Arizona State University professor Alberto Ríos, recognizes the contributions of local educators who have made a significant impact on literacy and art in education. and Lucha Corpi. He also works effortlessly to bring these authors to the campus of CGCC to engage with students in dialogue about their literary contributions.